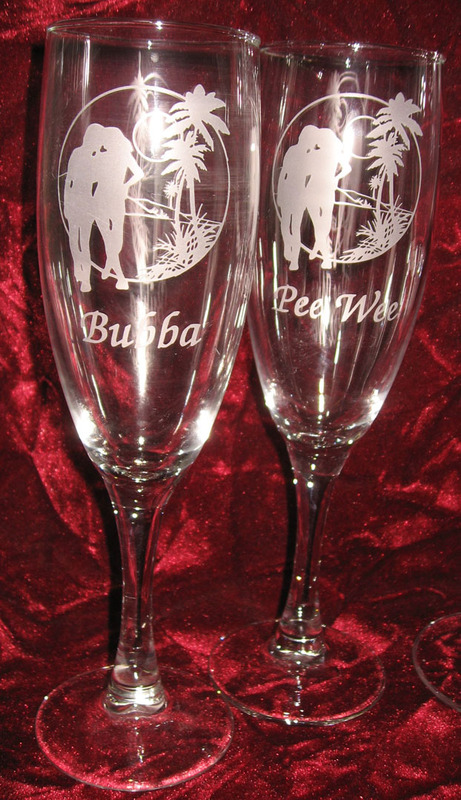 Welcome to our Sowers Glass Engraving Web site. 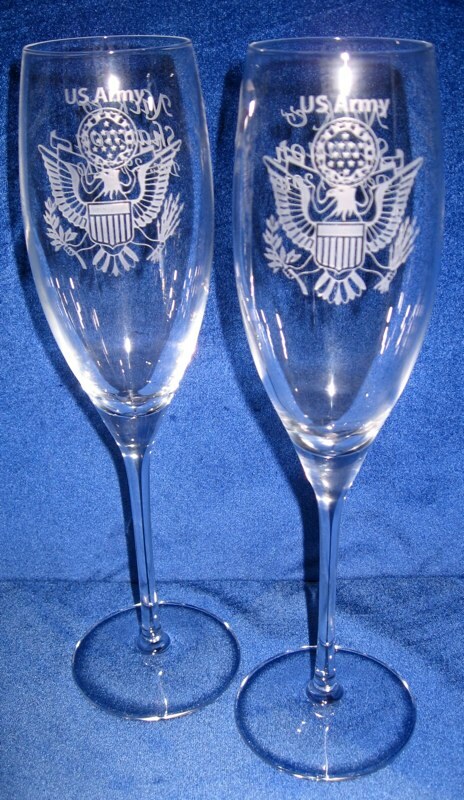 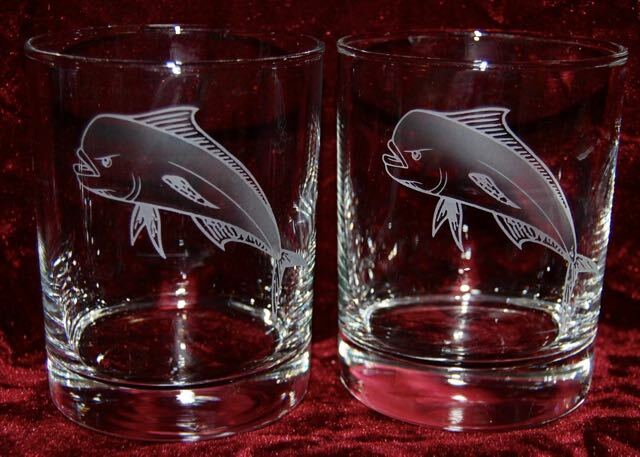 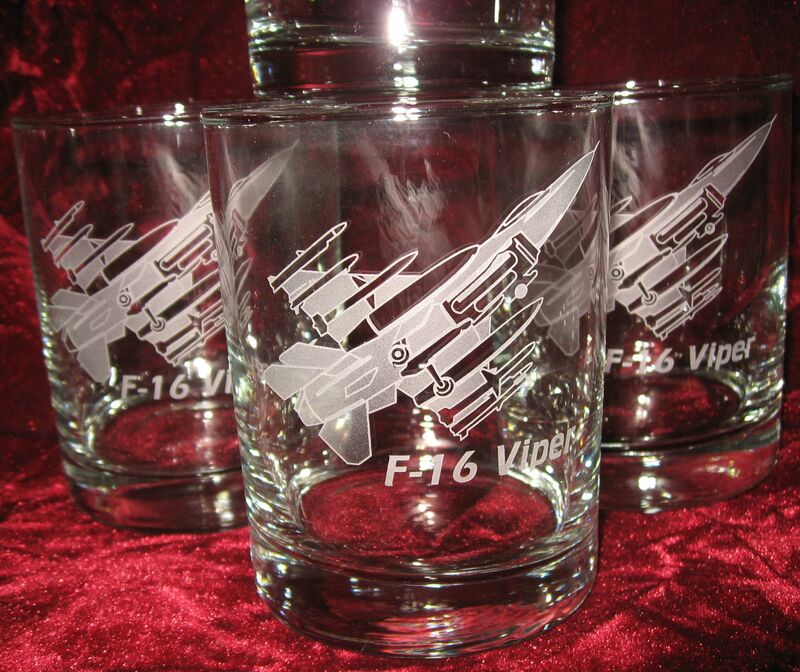 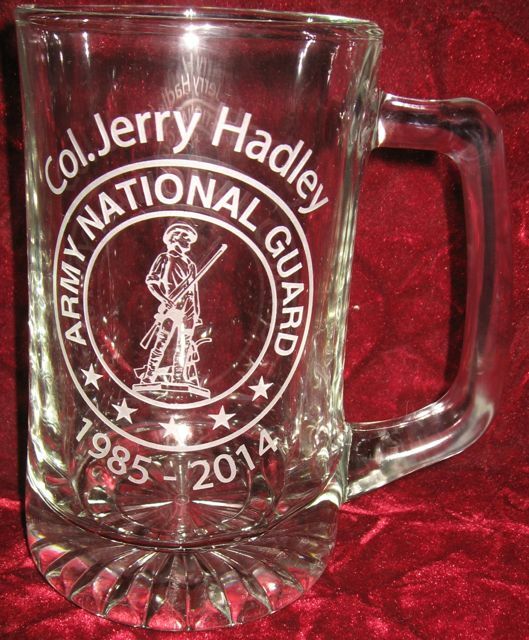 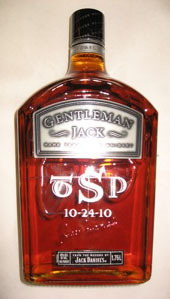 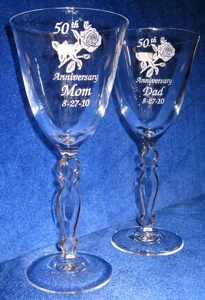 Sowers Glass Engraving has a large selection of personalized glassware and gifts that can be custom engraved. 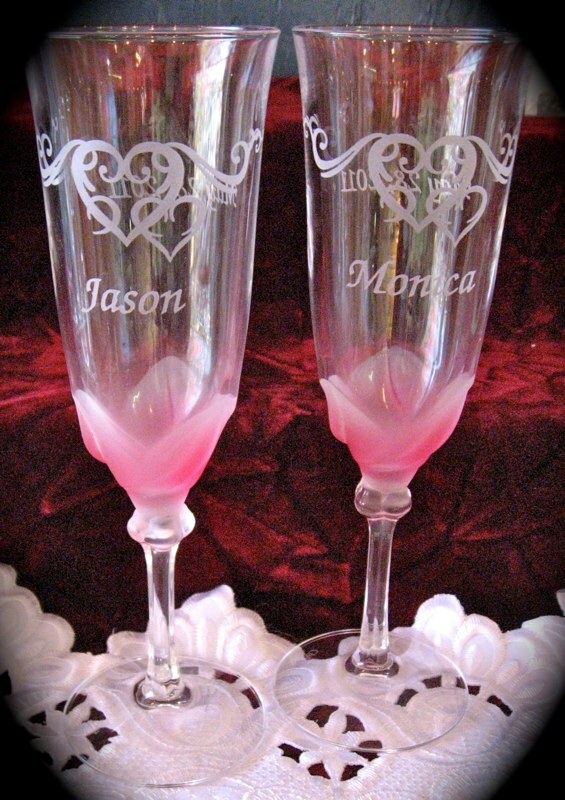 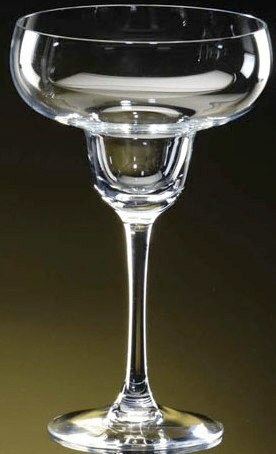 We have a large selection of wedding champagne glasses, wines glasses, whiskey glasses, shot glasses, and beer mugs as well as other glassware and crystal gifts. 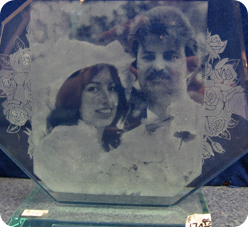 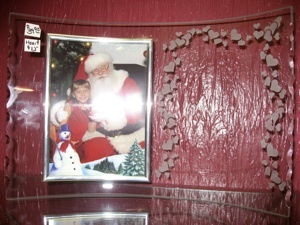 Owners and engravers Jeff and Sherrie Sowers specialize in custom glass and crystal engraving. 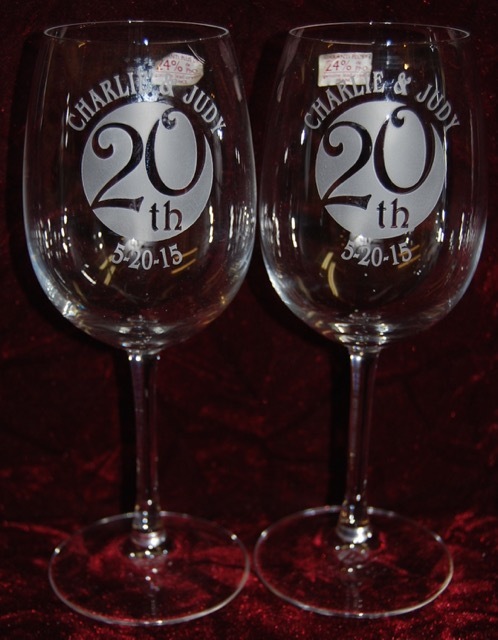 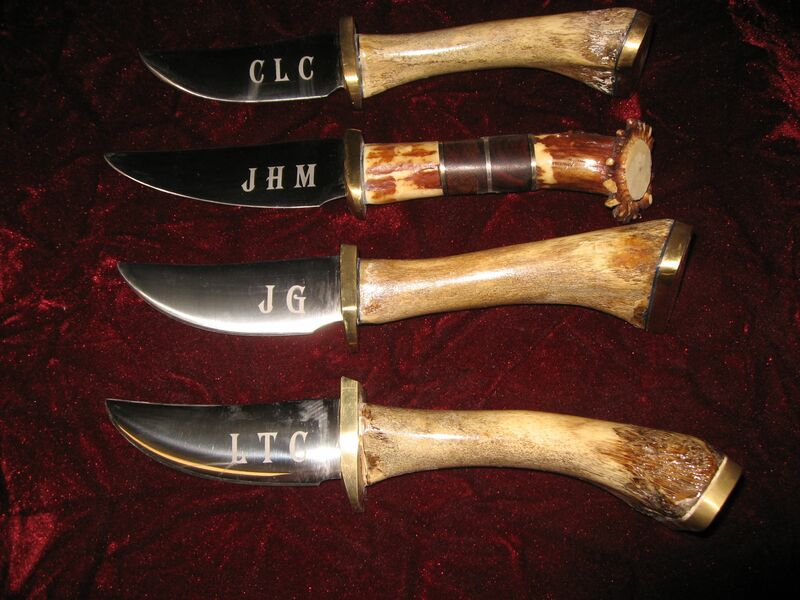 Your order will be engraved in-house by Jeff Sowers and Sherrie Sowers, experienced engravers. 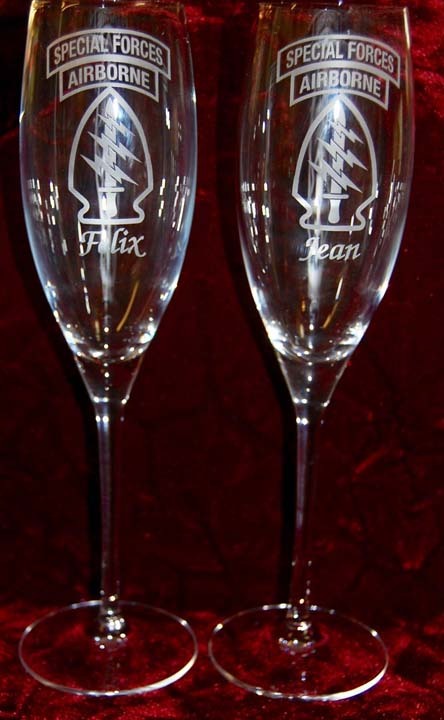 We offer custom engraving on a for a variety of occasions such as weddings, anniversaries, graduations, retirements, promotions and Christmas. 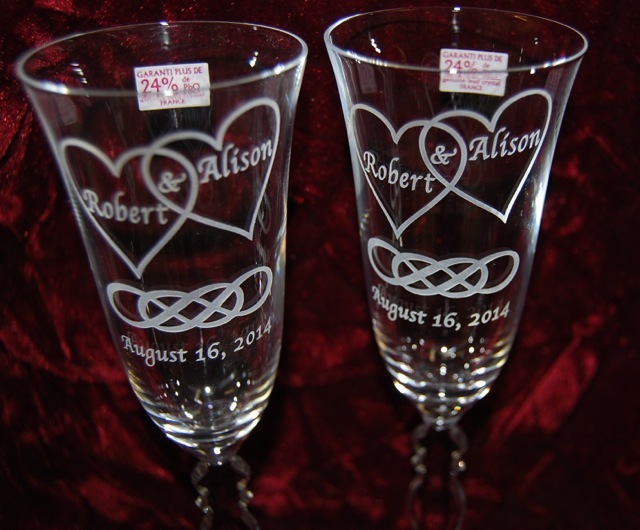 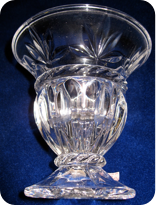 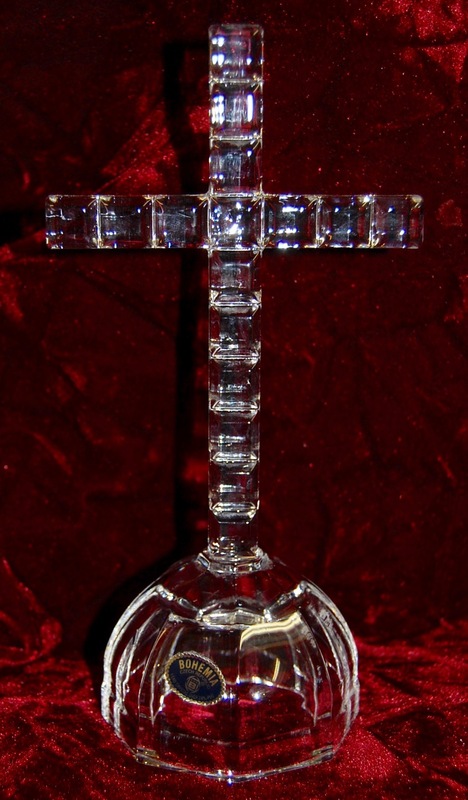 We are happy to engrave on your glass or crystal items. 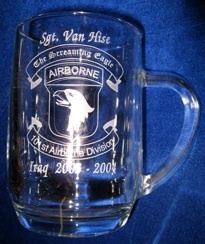 We welcome rush orders. 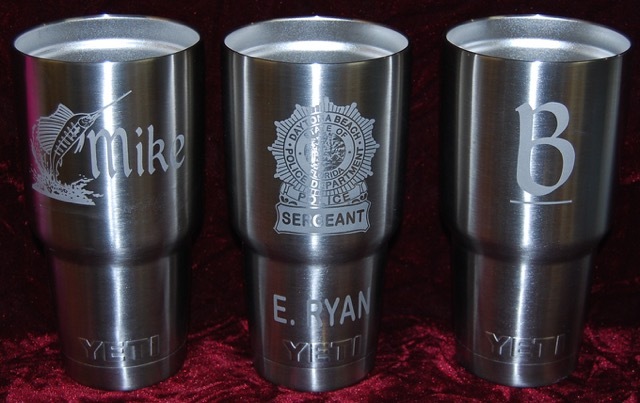 Just click on the photo above and you will find just a small sample of the engraving we can do and the items we have available in our store. 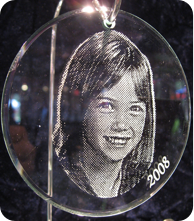 Make it a gift that will forever be remembered from Sowers Glass Engraving . 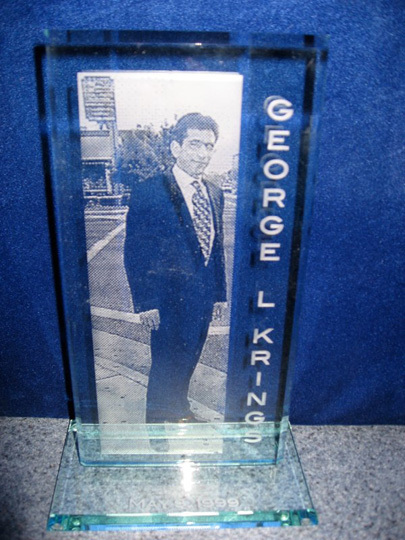 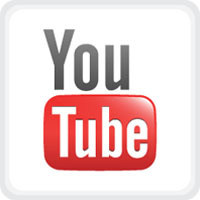 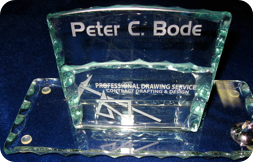 Sowers Glass Engraving specializes in custom glass engraving on most any crystal or glass item. 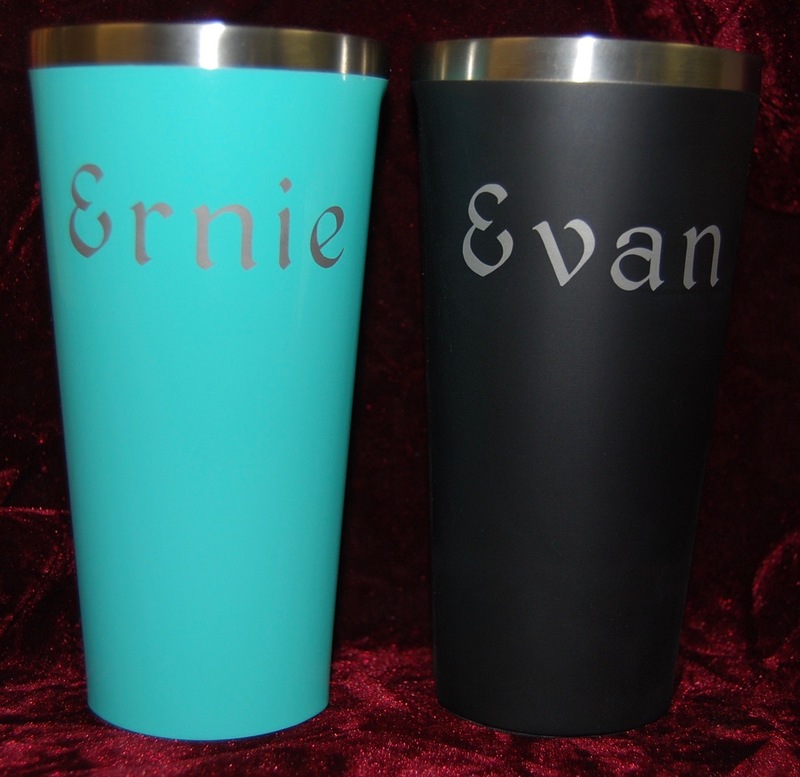 We have personalized gifts for most any occasion. 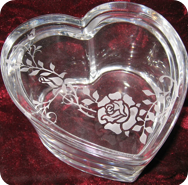 Whether you bring your own item or buy one of ours, we will turn that item into a treasured gift. 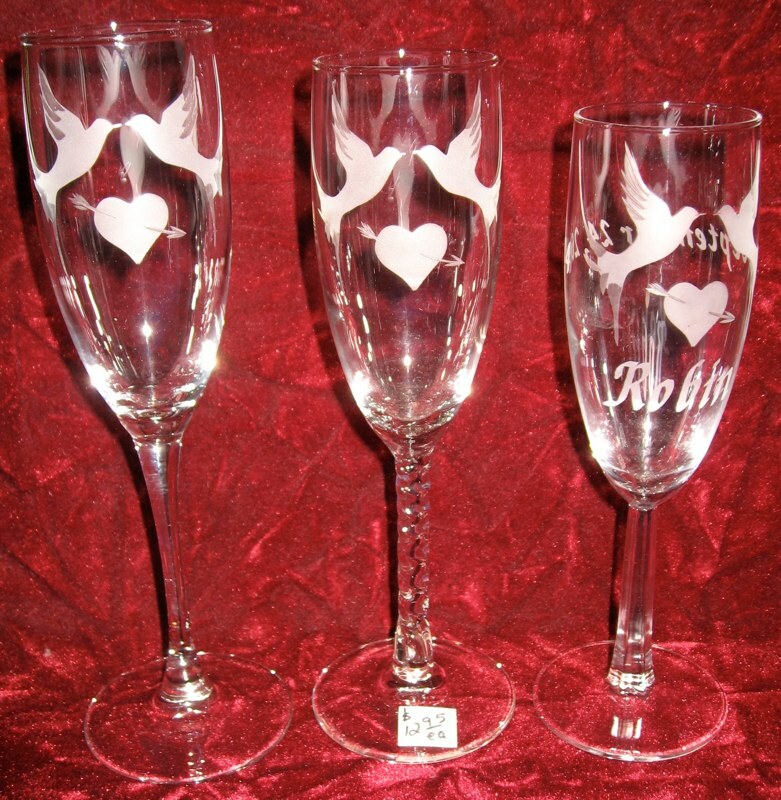 You can choose from thousands of designs to satisfy any ones taste. 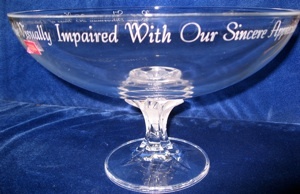 We engrave on-site, enabling a very fast turn around. 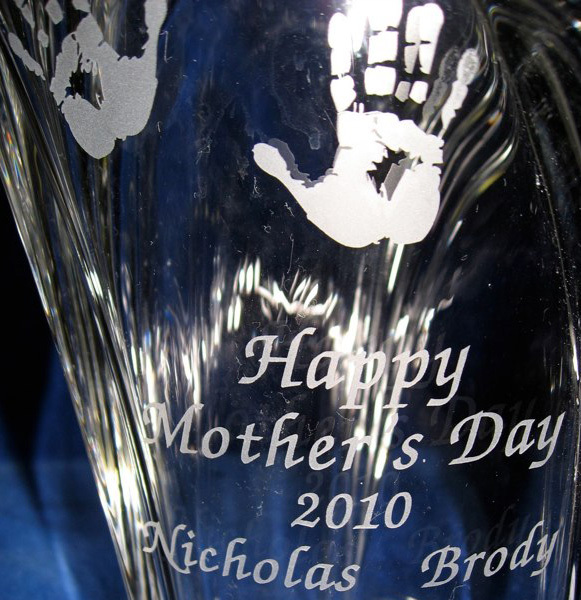 If you want a keepsake for that special someone, stop by and have us engrave your special gift. 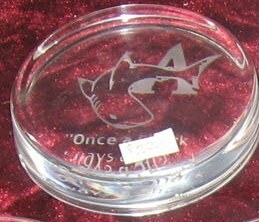 If you need something for a business associate stop in our showroom to see our large selection of corporate gift items. 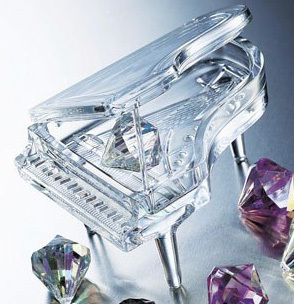 We have a gift for every personality that is sure to be a hit. 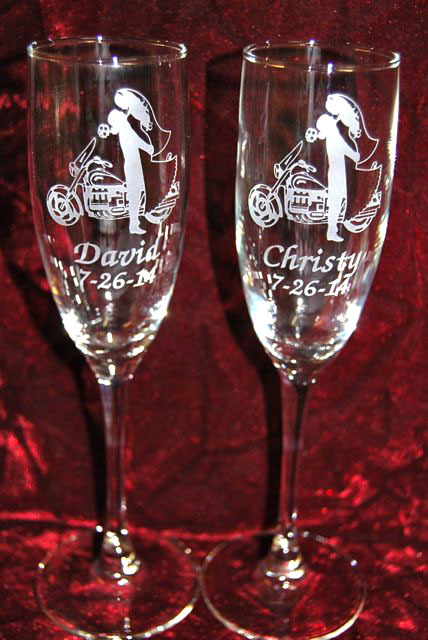 Come in and browse! 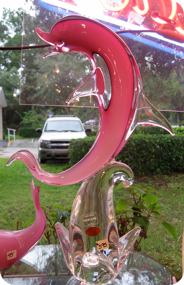 We're located @ 4616 Clyde Morris Blvd. 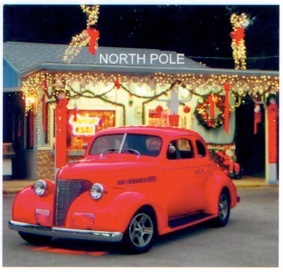 just north of Herbert St.